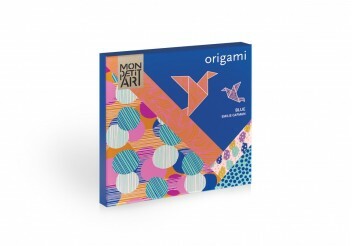 Beautiful origami papers printed both sides With those 36 original origami papers, you hold in your hand infinite possibilities of creation ! 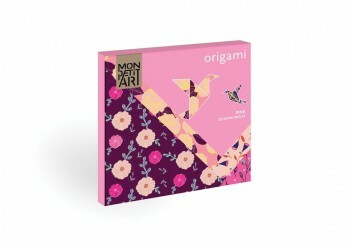 Inspire you with those elegant patterns and realize beautiful foldings thanks to the great finesse of those original origami papers. 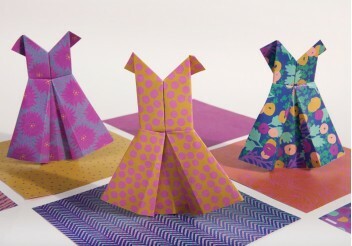 Ages 6 and up & origami lovers. Drawing, goffering, stamps, hot stamping: a box with elements using different technics to create unique cards. 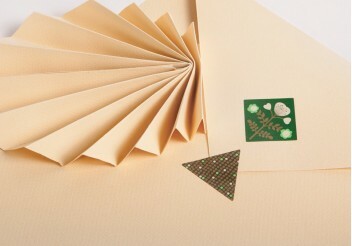 To create birthday or announcement cards and little paintings. 24 printed and goffering cards. Ages 7 and up. 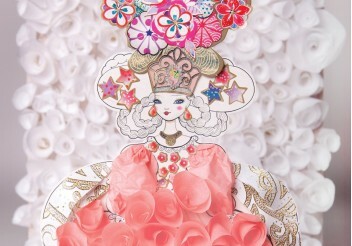 Create an enchanting Fairies Fashion Show A creative set to create an enchanting fashion runway! radiant Fairies to be dressed with twinkling stickers and translucid wings. The stage can also be decorated with elements that glow in the dark! 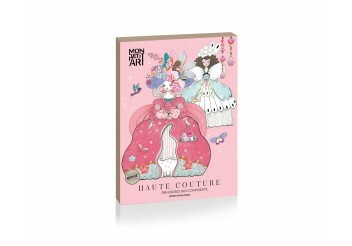 Ages: 7 years and Haute Couture lovers ! Create an incredible fashion show Dress 5 superb models to create a runway fashion with a complete range of sophisticated articles inspired by the fashion world. 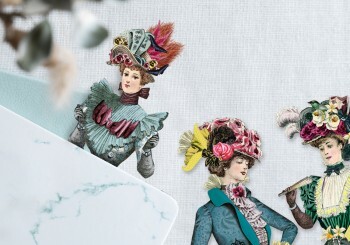 Iridescent paper, glossy stickers and refined head-dresses... are you ready for the fashion show? Ages : 7 years and Haute Couture lovers ! 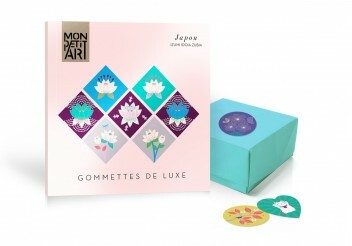 250 amazing stickers Here are the luxury stickers inspired by japanese style, with metallic and fluorescent coatings. 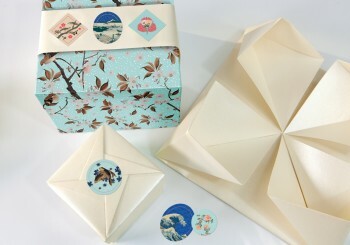 These precious and refined items are perfect to embellish notebooks, gifts, cards or any object. 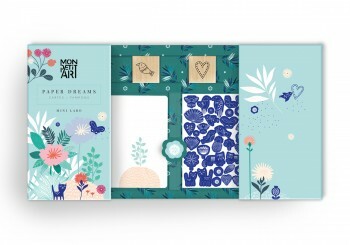 Personalize all your small objects and give an artistic touch to your cards and notebooks. For all ages. 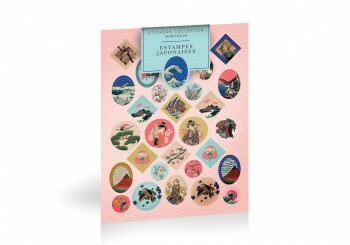 Inspired by masterpieces of Japanese Prints Amazing stickers freely inspired by Japanese Prints, to give a unique touch to objects and stationery. Katsushika Hokusai, Utagawa Hiroshige, Utagawa Kuniyoshi, Kitagawa Utamaro, Suzuki Harunobu, Utagawa Toyokuni. Discover the city as a miniature Live a unique coloring experience with 3D Color City! 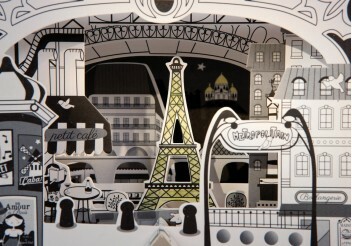 Discover a small scaled Paris in every detail, with its iconic monuments and neighborhoods. 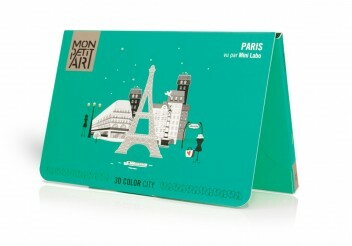 Ages 6 and up & Paris Lovers. 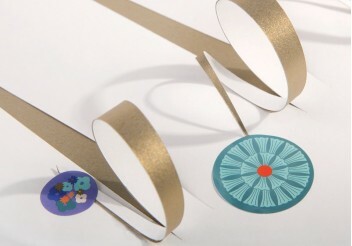 250 amazing stickers Here are the luxury stickers inspired by Art Deco movement, with metallic and fluorescent coatings. 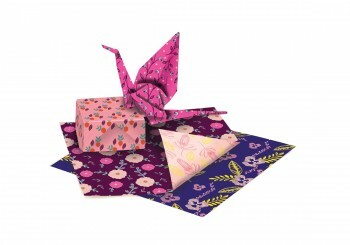 These precious and refined items are perfect to embellish notebooks, gifts, cards or any object. 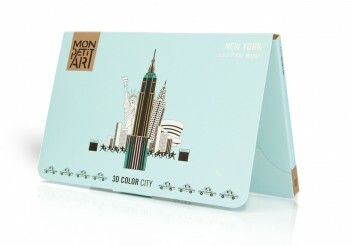 Personalize all your small objects and give an artistic touch to your cards and notebooks. For all ages. 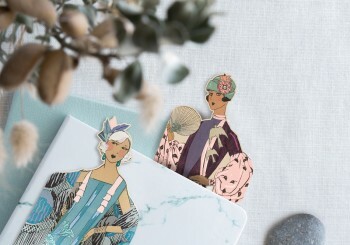 Original Bookmarks to be in fashion! 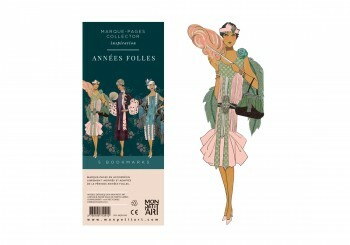 New and charming bookmarks freely inspired by the Années Folles period. Presented in accordion, they are beautiful and original. 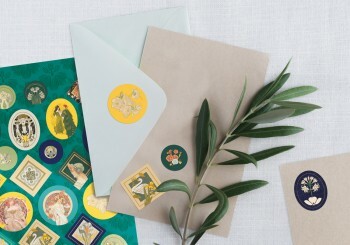 Inspired by masterpieces of Art Nouveau movement Amazing stickers freely inspired by Art Nouveau period, to give a unique touch to objects and stationery. 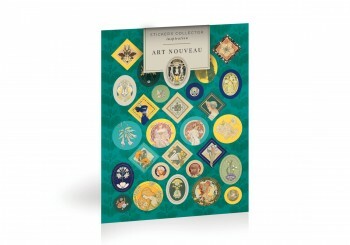 Alphonse Mucha, Koloman Moser, Hans Christiansen, Louis Rhead, Henri Privat Livemont, William Henry Bradley. To embellish gifts! An amazing set with different elements to customize gifts. 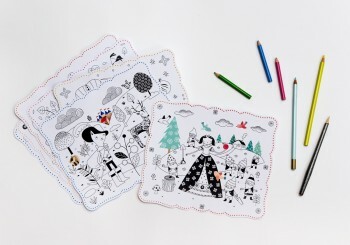 Magic forest, elegant plants and animals with a Nordic style. 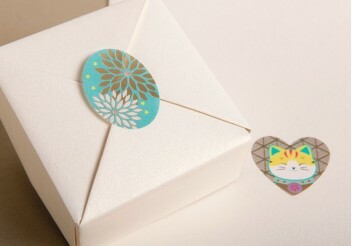 Hang tags, gift boxes, cards, envelopes, decorative elements, special stickers and 5 meters string. 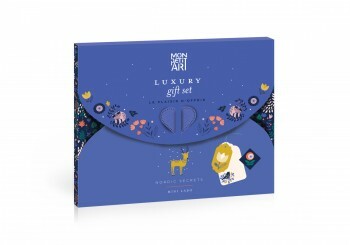 To create unique and irresistible gifts. 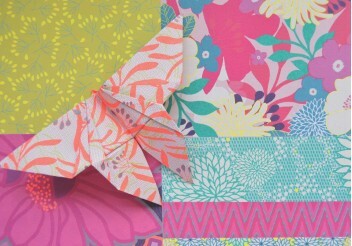 Original Bookmarks to be in fashion! 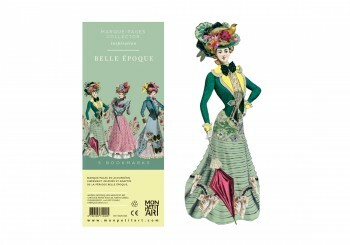 New and charming bookmarks freely inspired by the Belle Epoque period. Presented in accordion, they are beautiful and original. 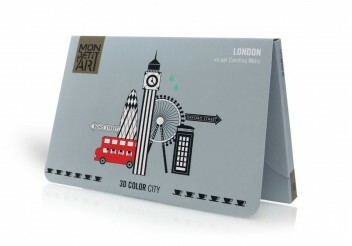 More than 600 creative stickers A booklet of more than 600 creative stickers, to stick everywhere, everytime! 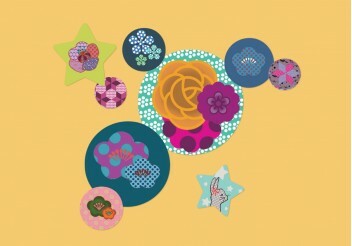 Enter in the delicate Izumi Idoia Zubia pop world with those creative and very colorful stickers for kids and grown-ups. For all ages. More than 600 creative stickers A booklet of more than 600 creative stickers, to stick everywhere, everytime! 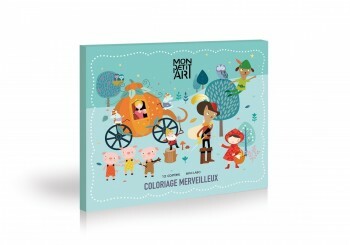 Enter in the delicate Séverine Prélat retro world with those creative and very colorful stickers for kids and grown-ups. For all ages. Create an incredible Princess Fashion Show Five princesses from around the globe, ready to shine with fabrics and accessories inspired by the fashion world. Transparency of the muslin, twinkling strass, Gold and silver papers, sparkling stickers, wonderful headdresses…all that you need! 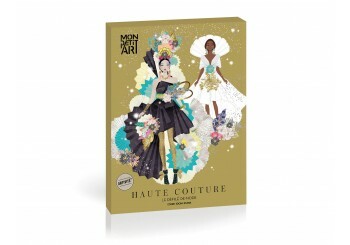 Ages : 7 years and Haute Couture lovers ! Discover the city as a miniature Live a unique coloring experience with 3D Color City! 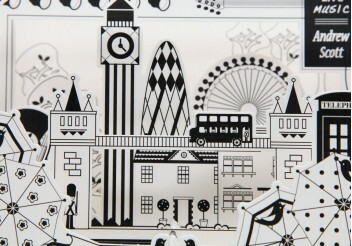 Discover a small scaled London in every detail, with its iconic monuments and neighborhoods. Ages 6 and up & London Lovers. 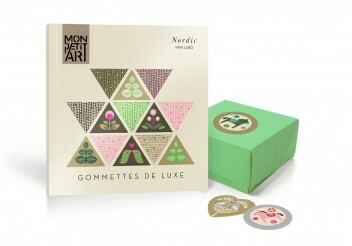 250 amazing stickers Here are the luxury stickers inspired by nordic style, with metallic and fluorescent coatings. 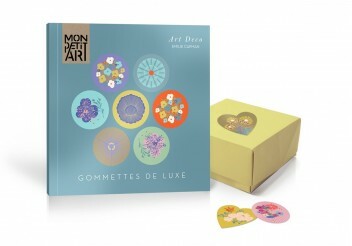 These precious and refined items are perfect to embellish notebooks, gifts, cards or any object. 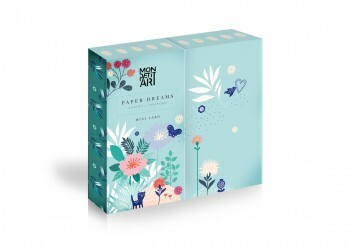 Personalize all your small objects and give an artistic touch to your cards and notebooks. For all ages. Discover the city as a miniature Live a unique coloring experience with 3D Color City! Discover a small scaled New York in every detail, with its iconic monuments and neighborhoods. Ages 6 and up & New York Lovers.